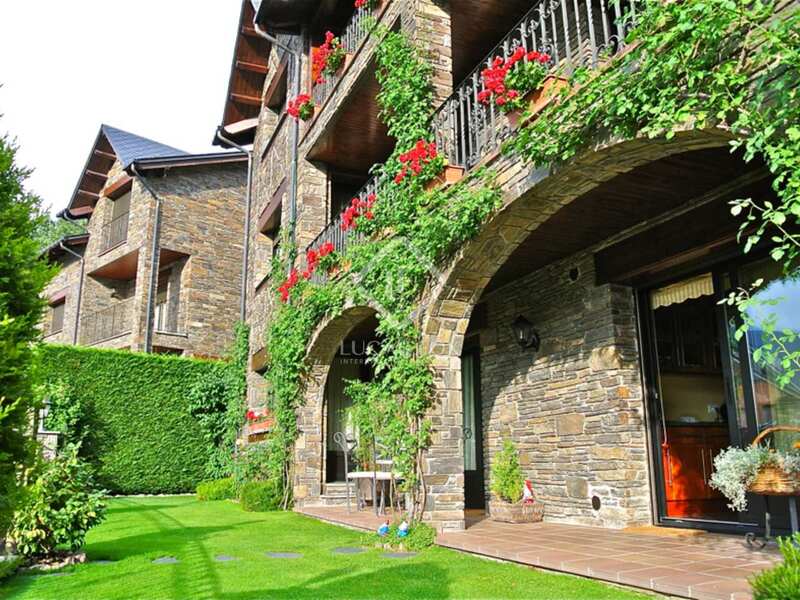 This stunning contemporary style villa, clad with local natural stone, is located in Engolasters. 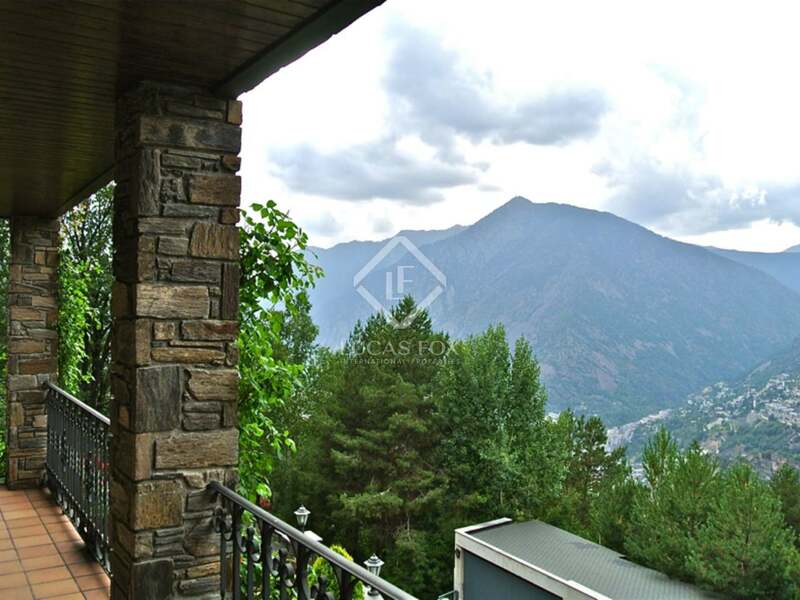 It is a privileged urbanization for its strategic location between the capital of Andorra la Vella and Lake Engolasters. 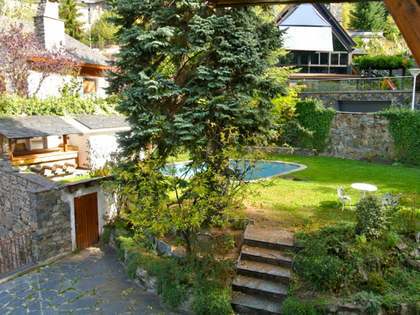 Surrounded by nature, this house is near the natural lake of "Engolasters" - one of the prettiest in Andorra and a Romanesque church of the twelfth century "San Miguel of Engolasters". 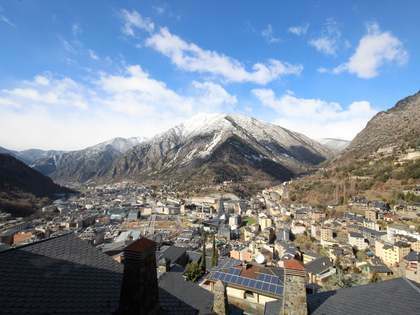 The centre of Andorra, with all of its amenities, is just 7 minutes away! 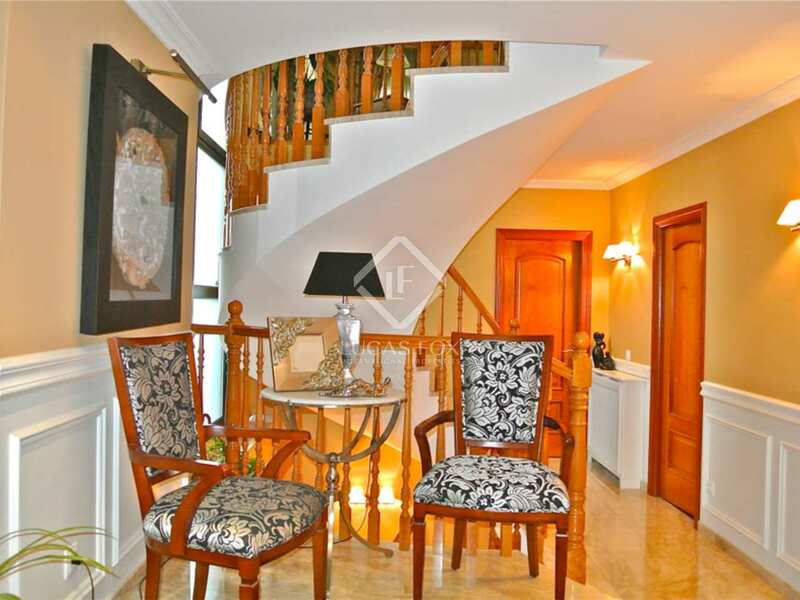 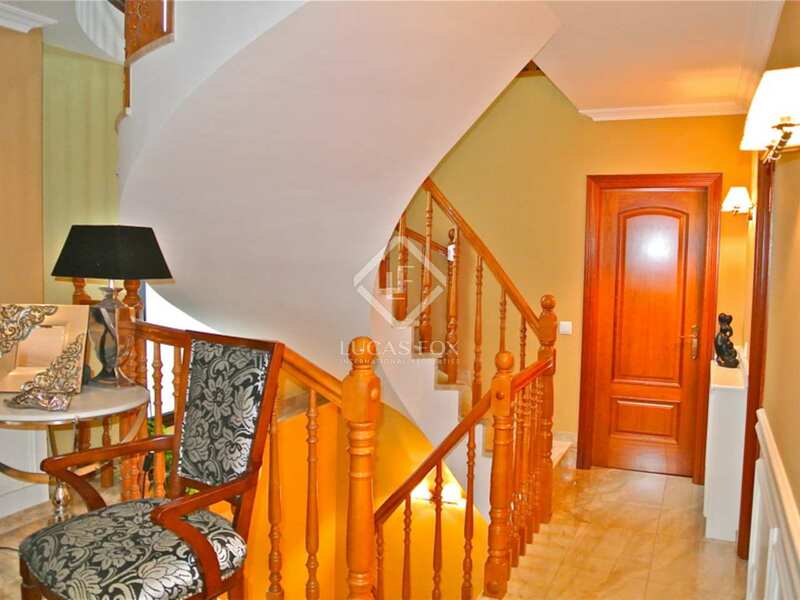 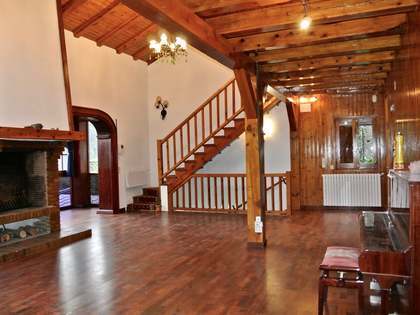 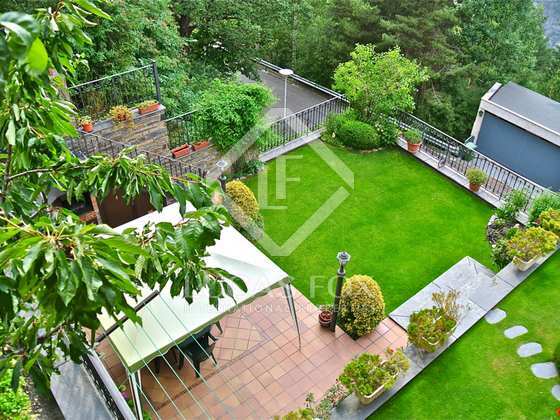 This beautiful house consists of 4 floors and is built on a plot of 488 m². 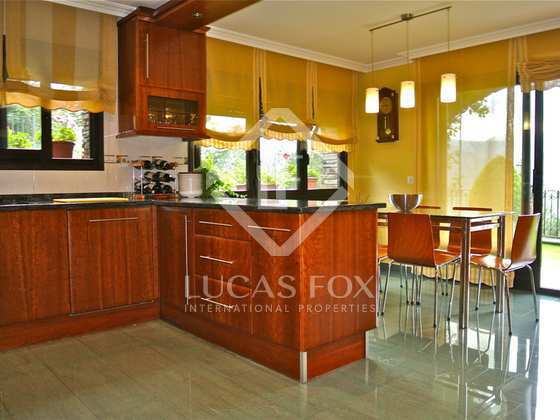 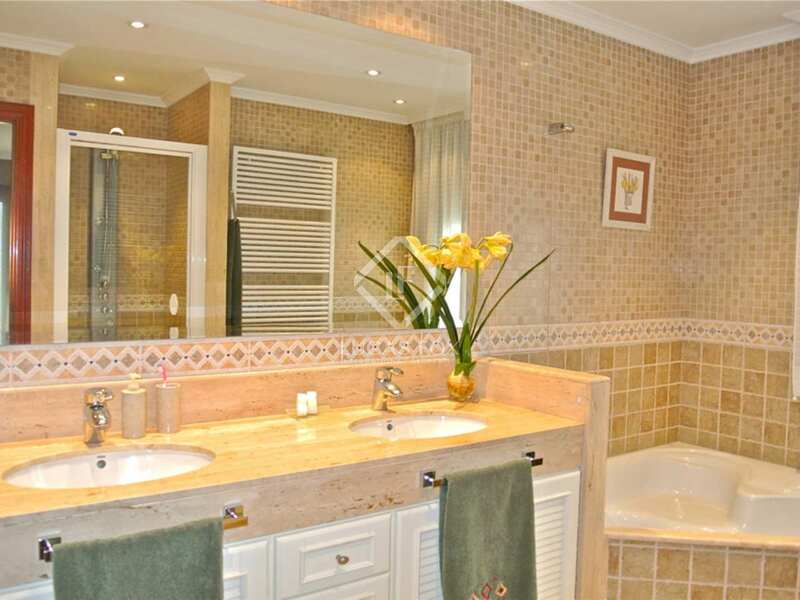 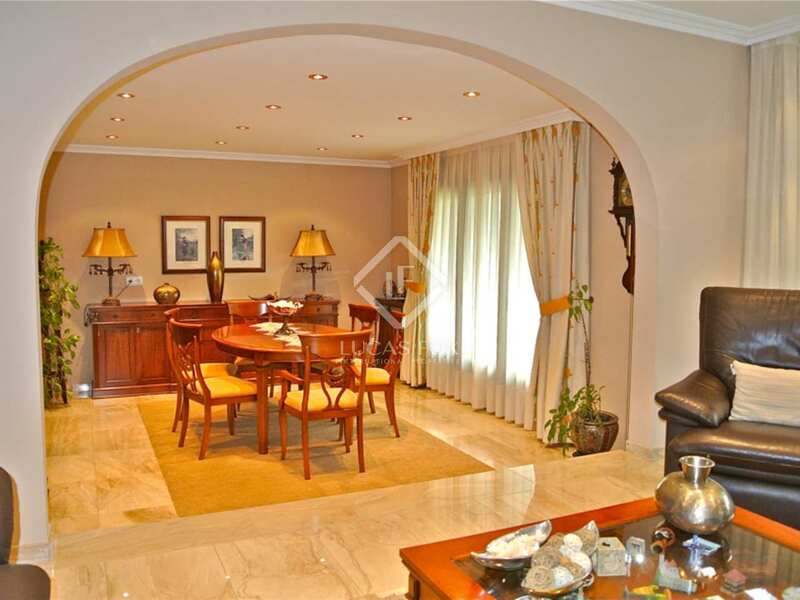 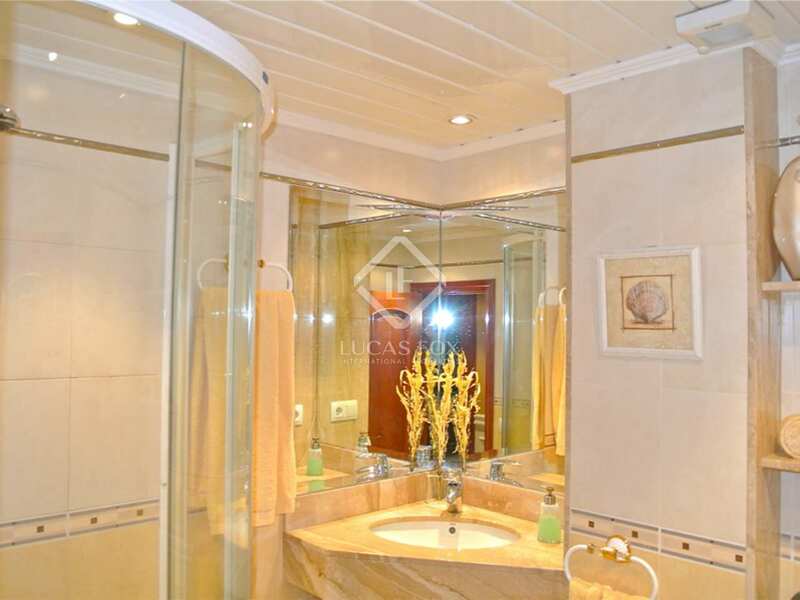 It has a total of 600 m², 250 m² garden, 5 bedrooms and 4 bathrooms. 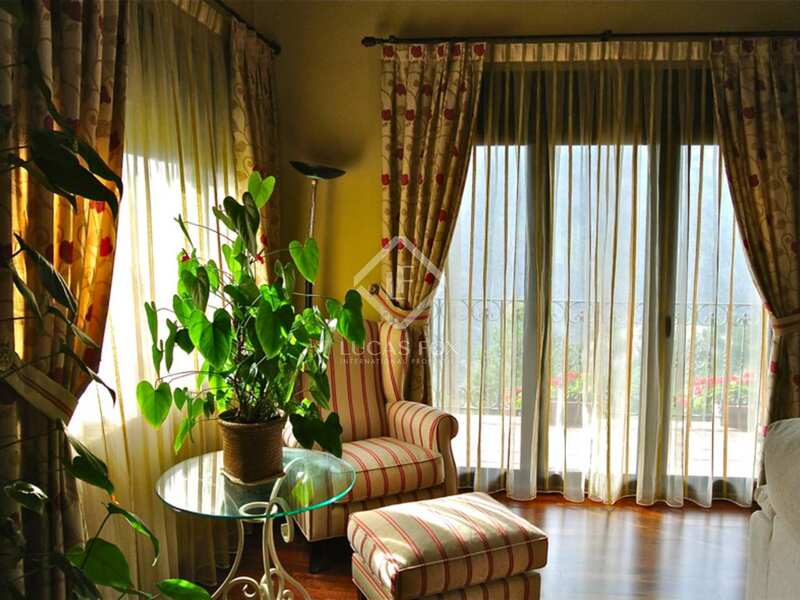 The finishes are of high quality, especially the thermal insulation of the house which provides cost effective heating. 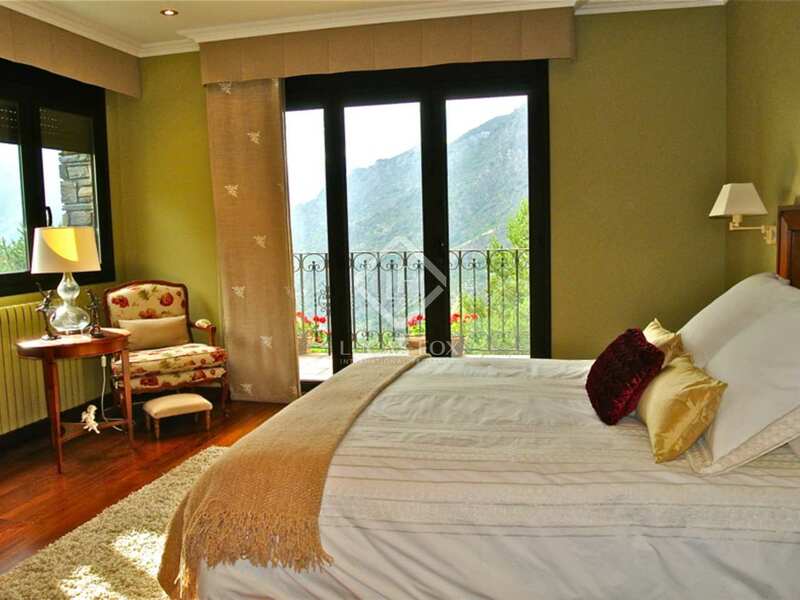 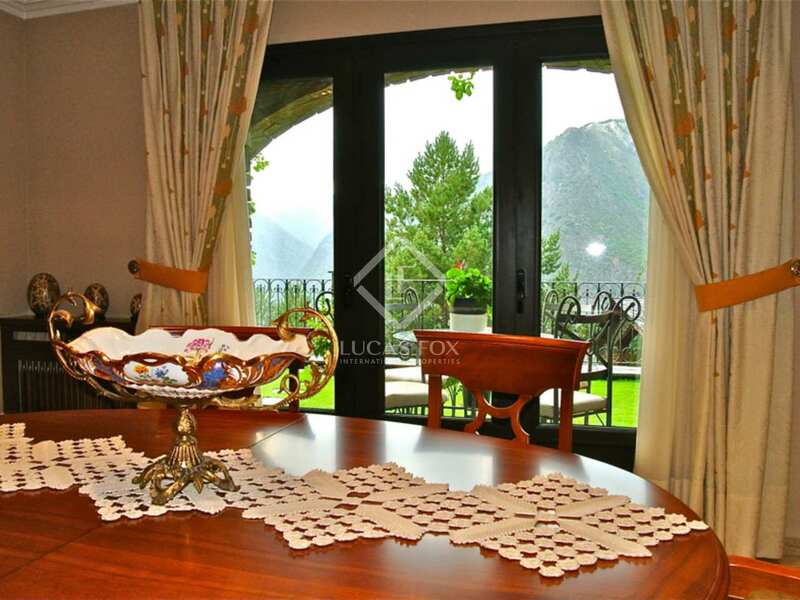 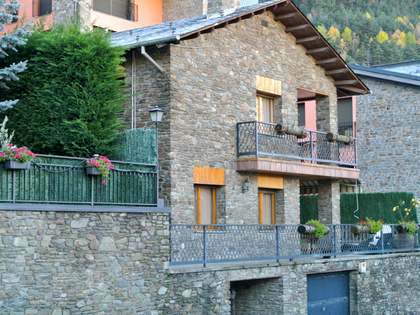 All rooms are exterior, have access to the balcony, lots of natural light and stunning views over the valley of Andorra. 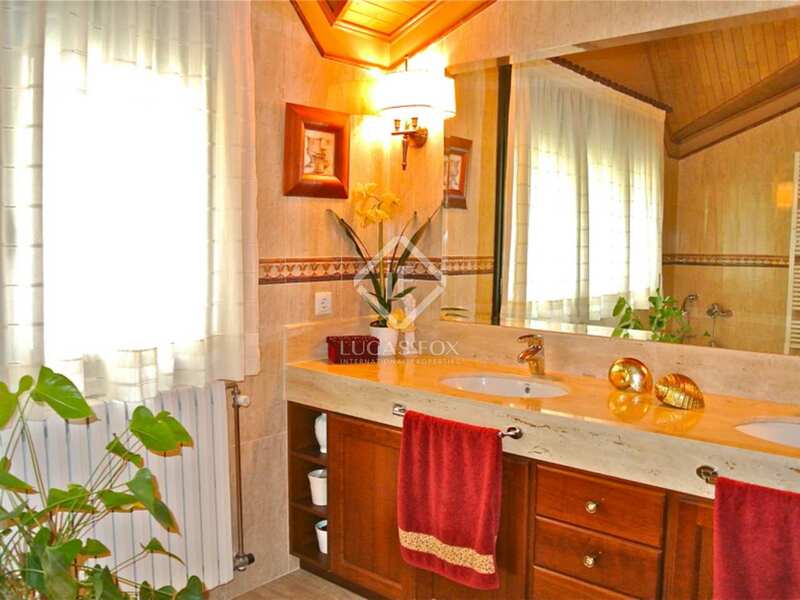 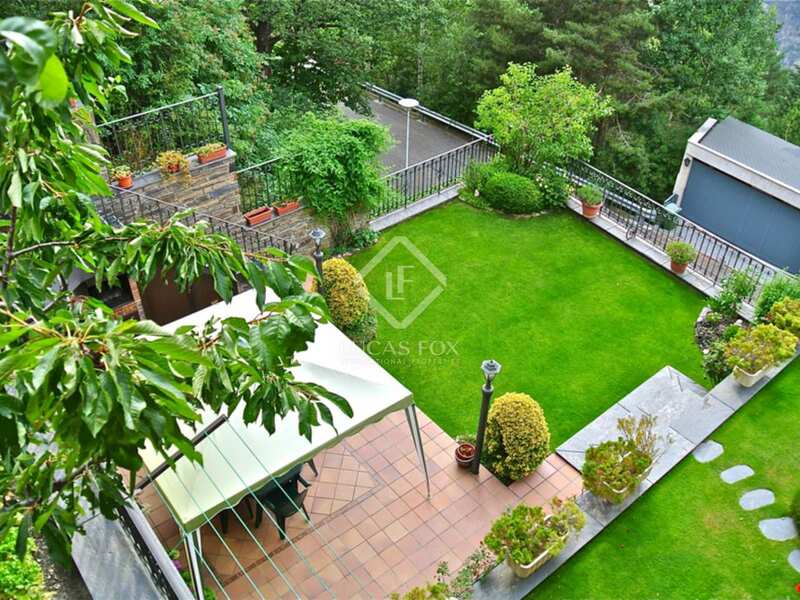 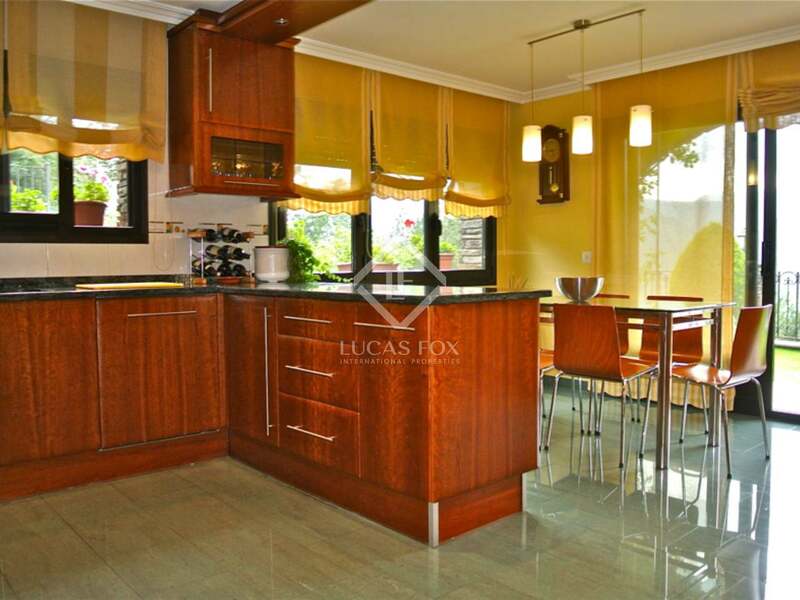 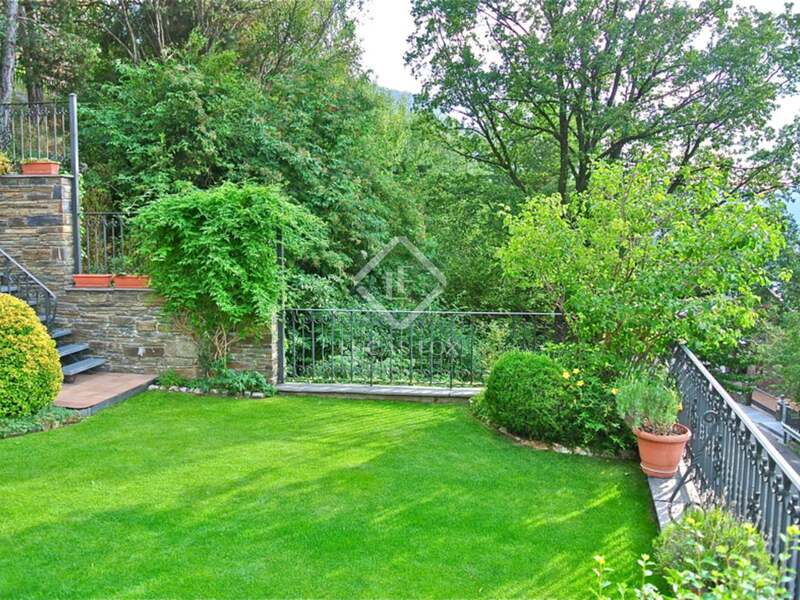 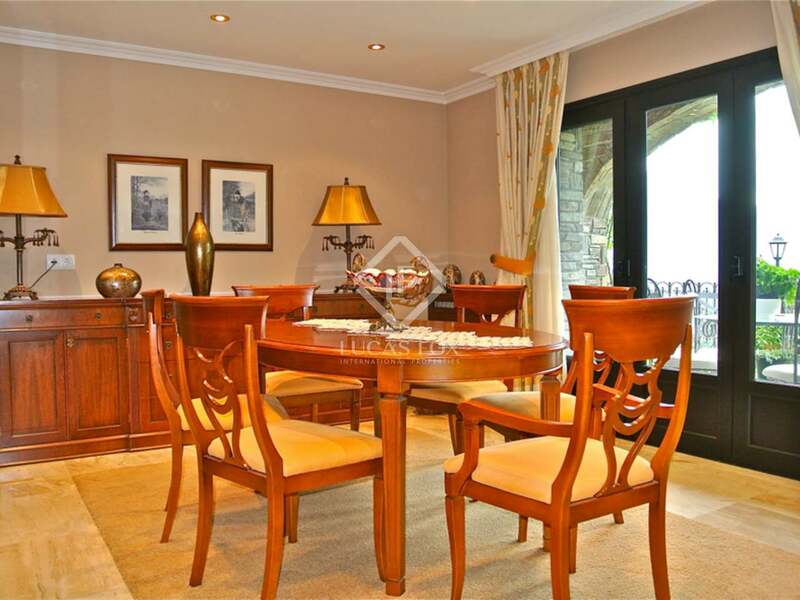 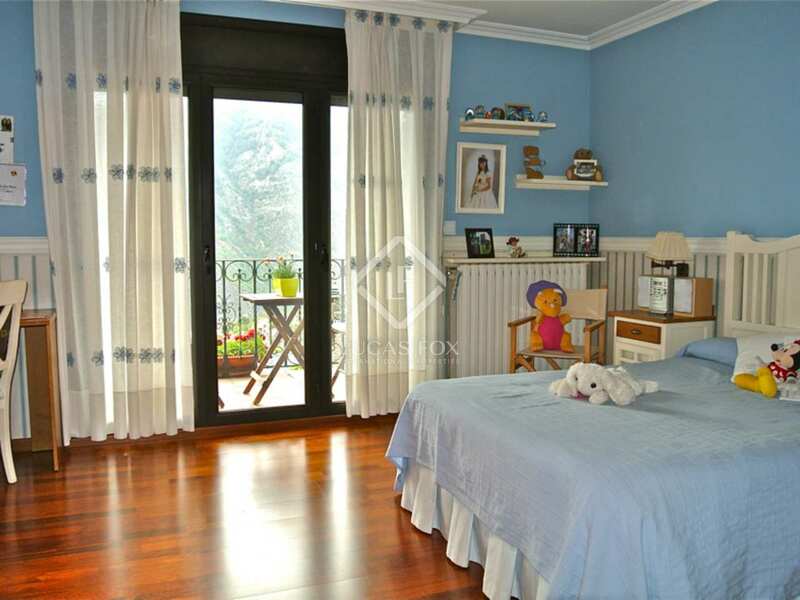 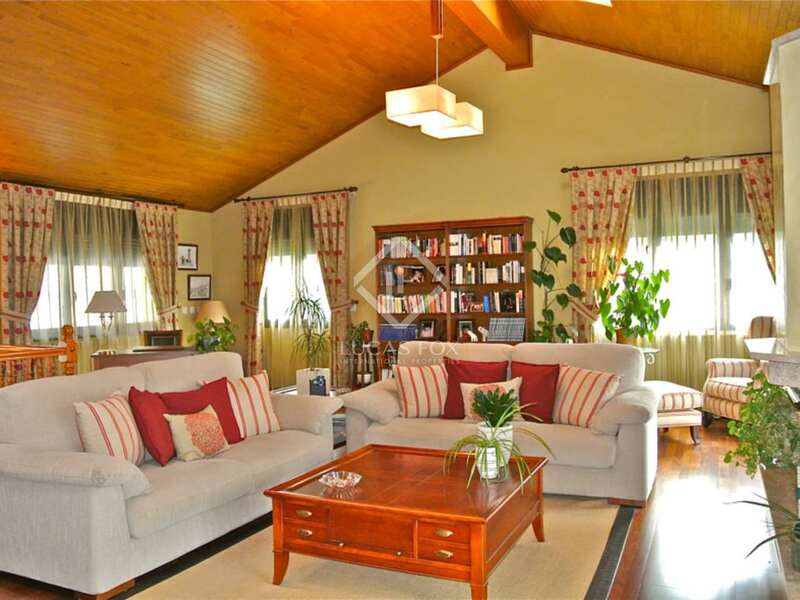 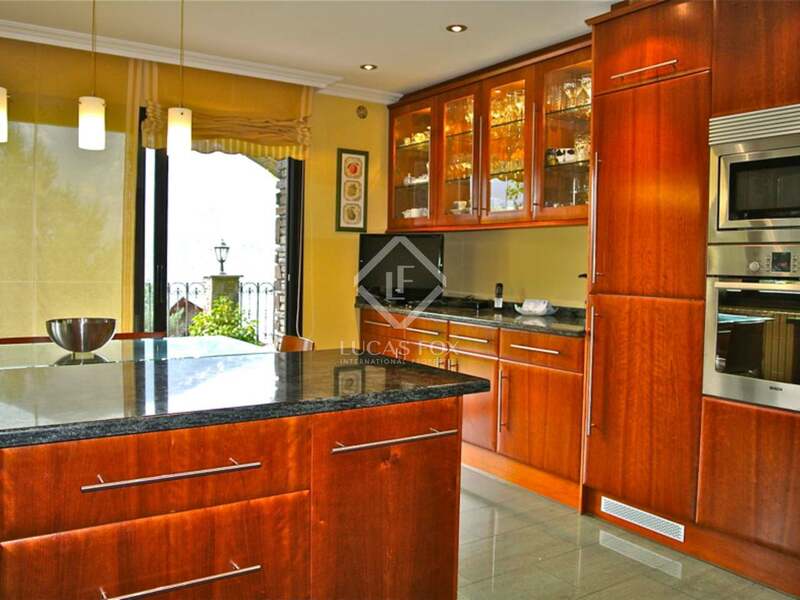 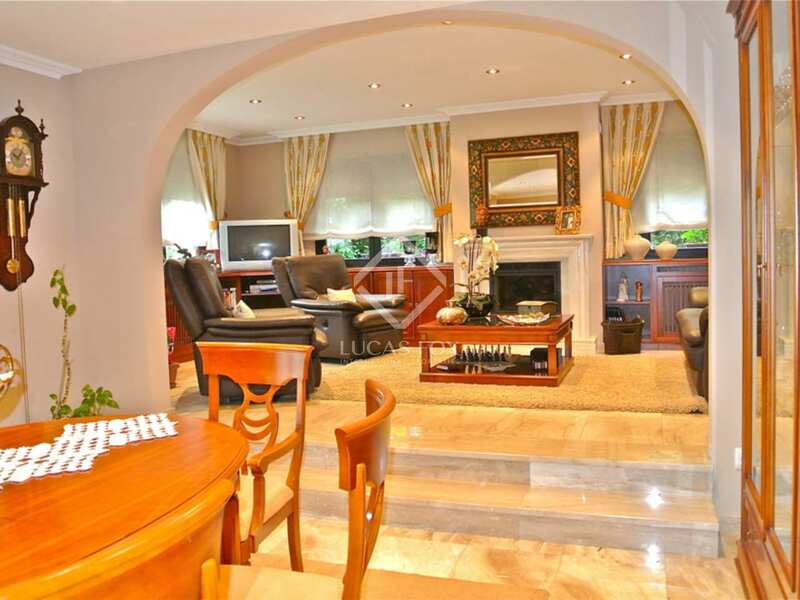 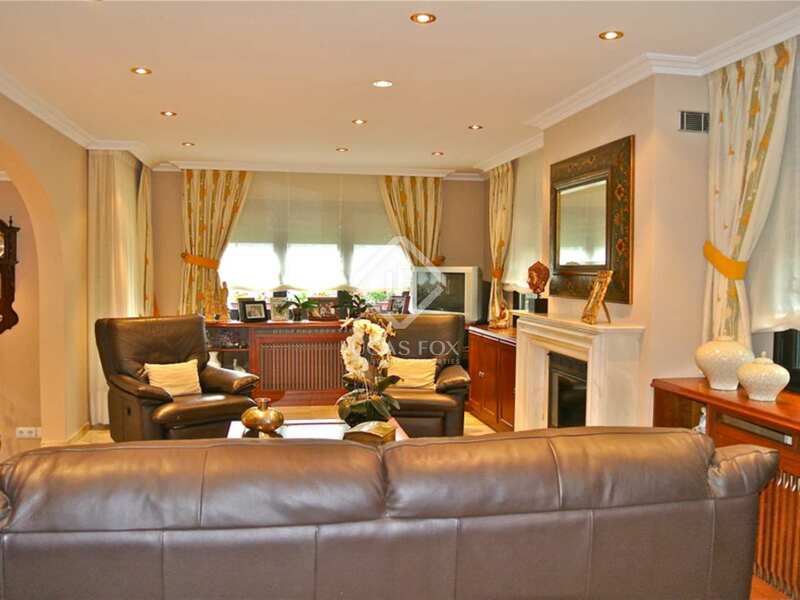 This beautiful house has a garden of 250 m² and a magnificent barbecue area. 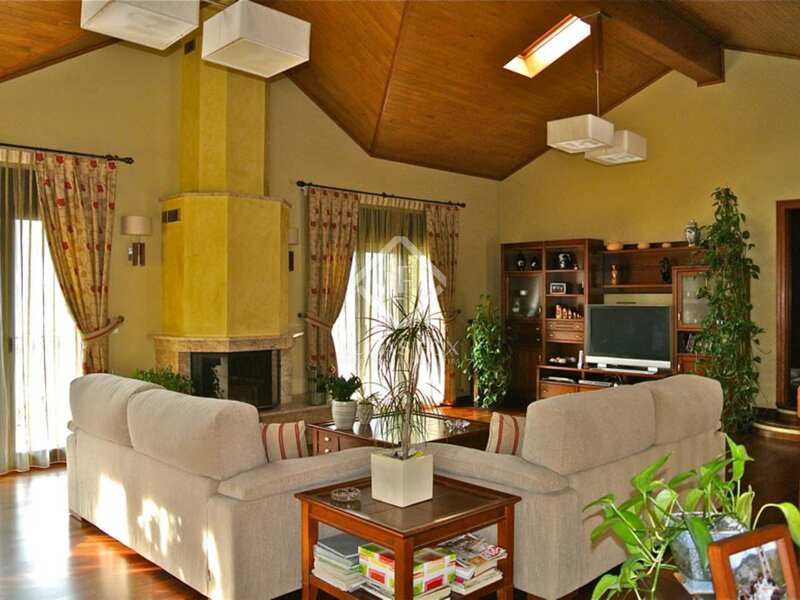 2 large living rooms, one with fireplace, 3 bedroom suites with hydro massage bath tub and steam shower. 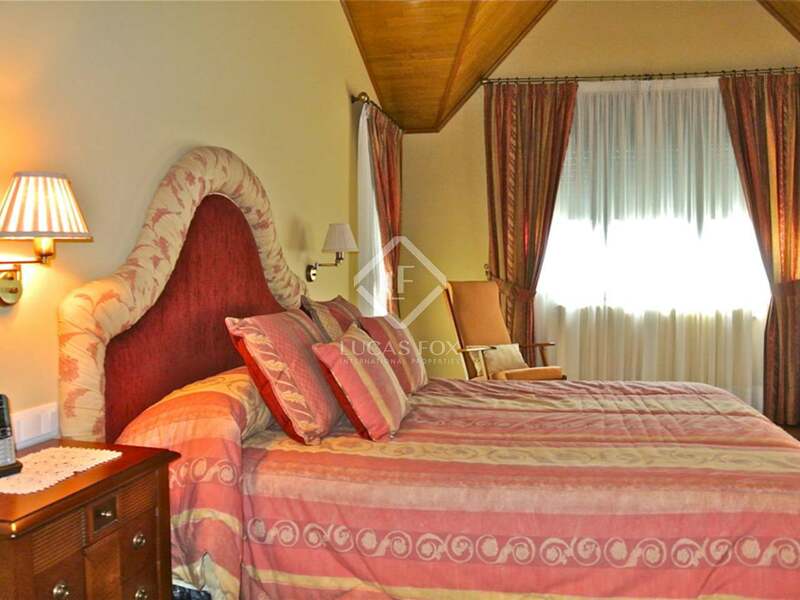 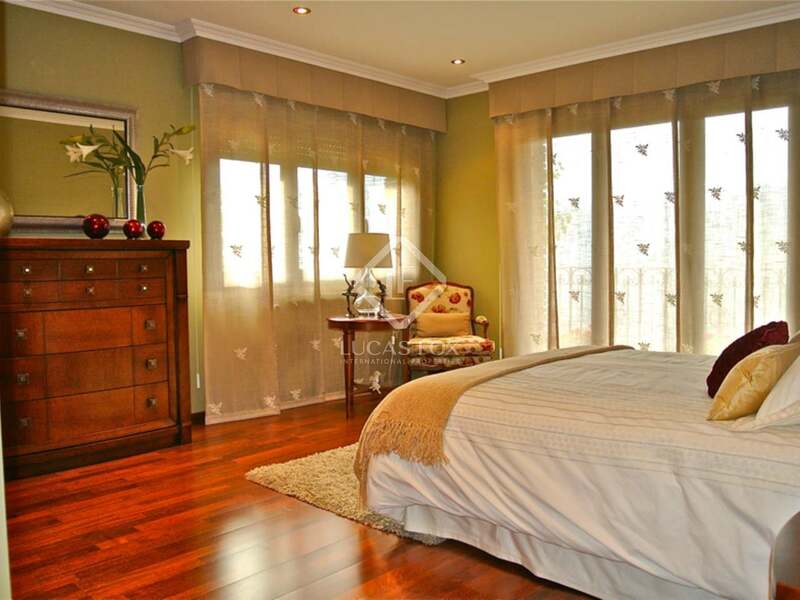 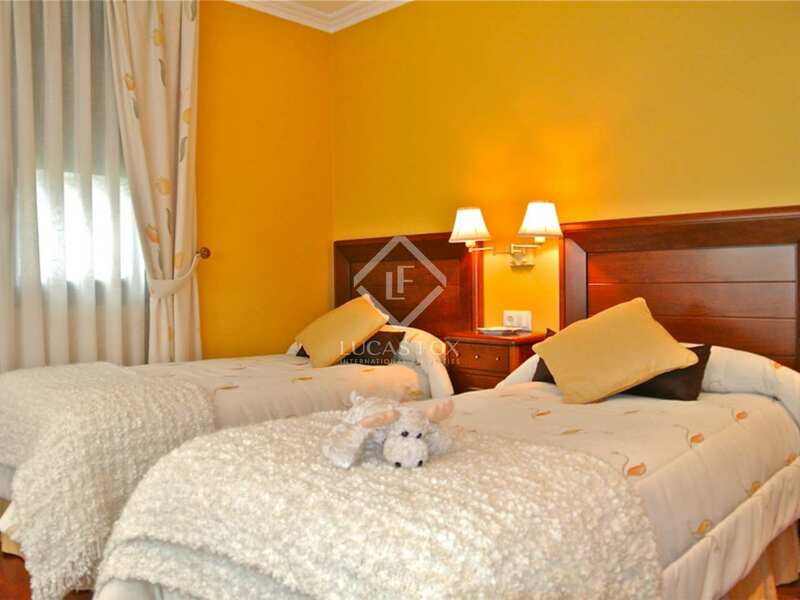 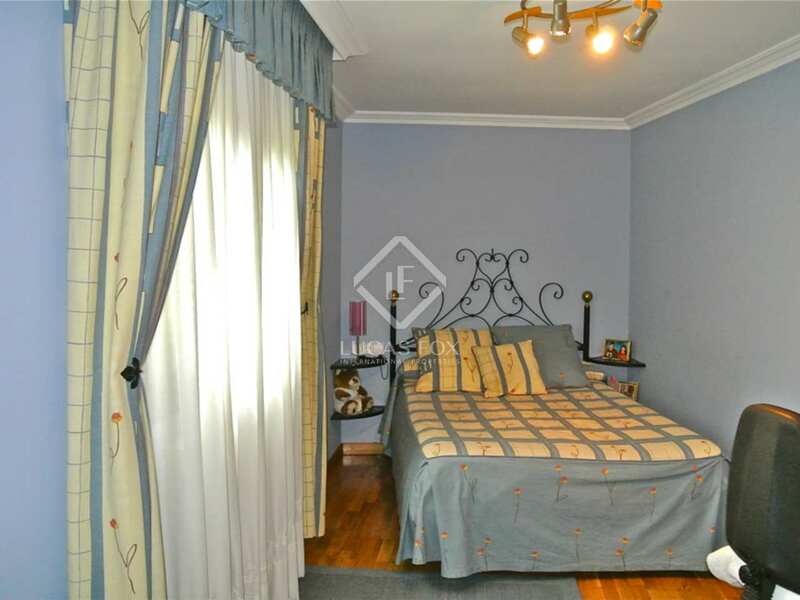 2 double bedrooms with solid wood custom-made wardrobes, and access to the balcony with a view. 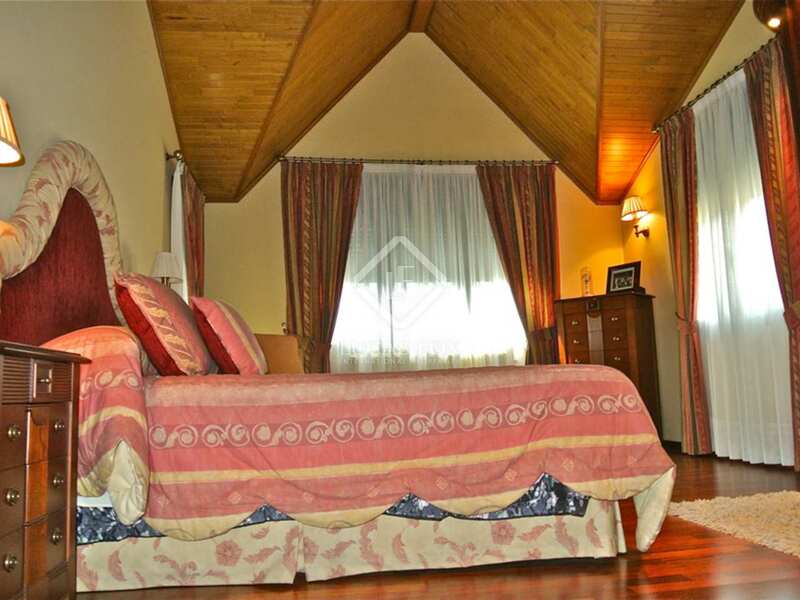 On the top floor is a magnificent attic with high ceilings and fireplace, access to the balcony and a bedroom suite with a bathroom. 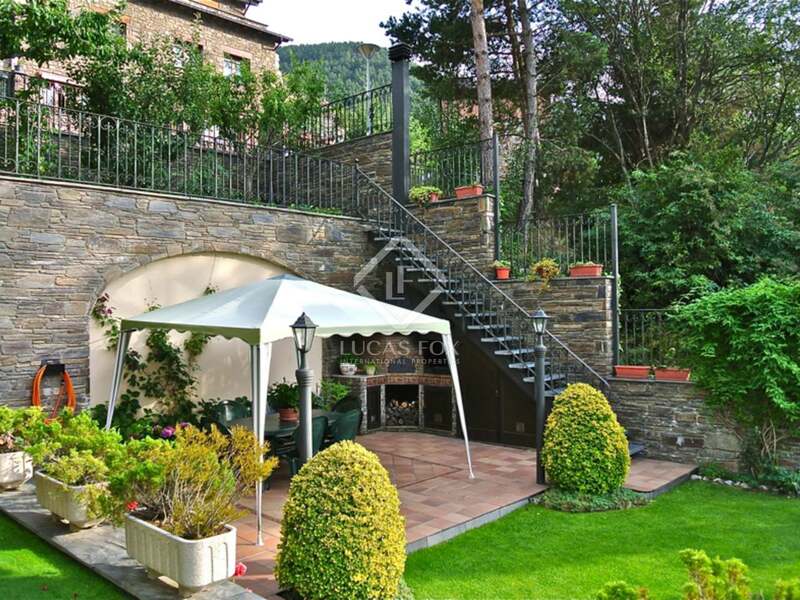 200 m² garage with a workshop and a wine cellar! 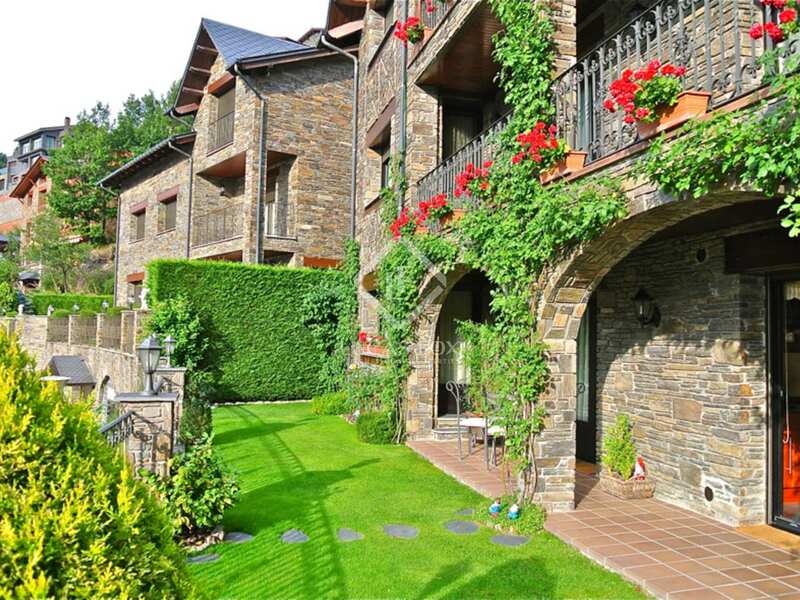 This stunning contemporary style villa, clad with local natural stone, is located in Engolasters. 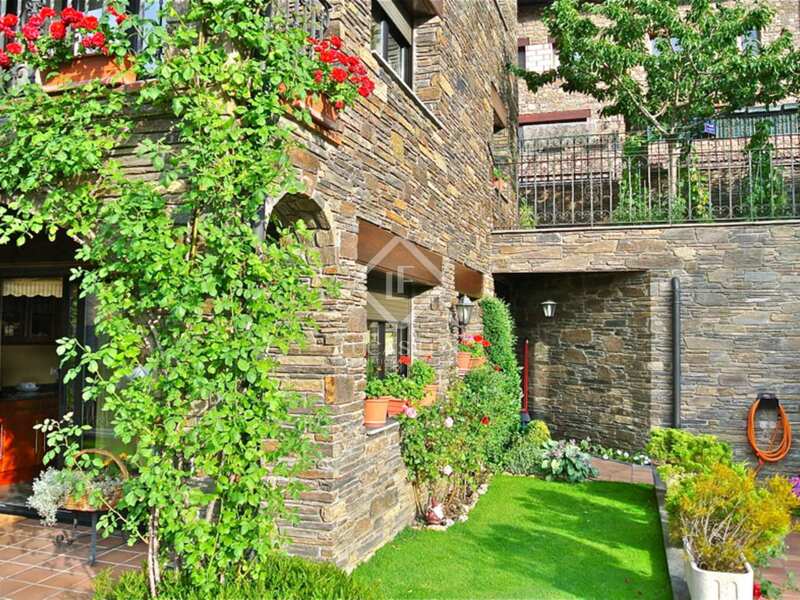 It is a privileged urbanization for its strategic location between the Andorran capital, Andorra la Vella and Lake Engolasters. 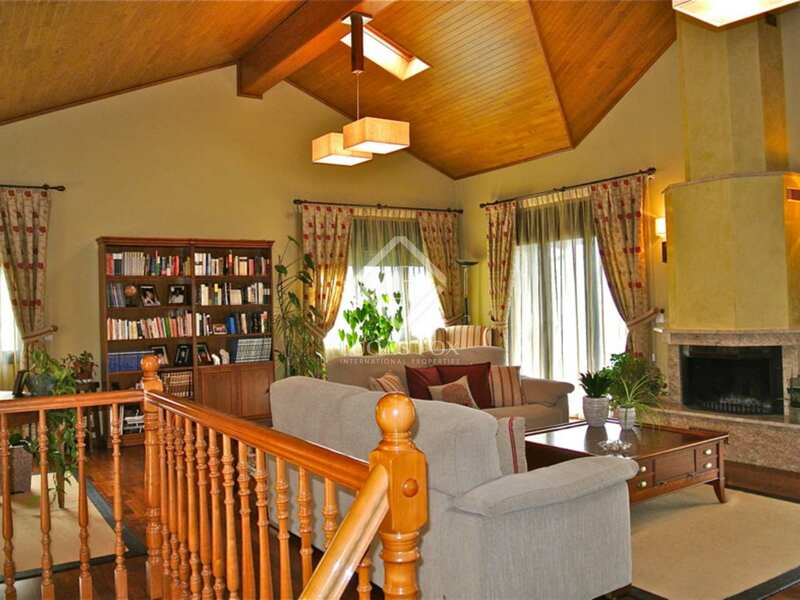 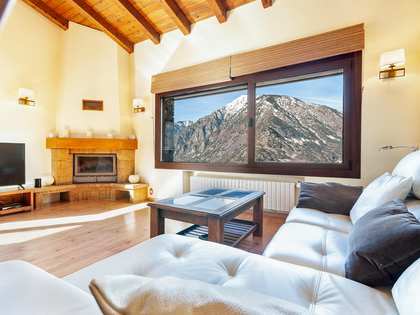 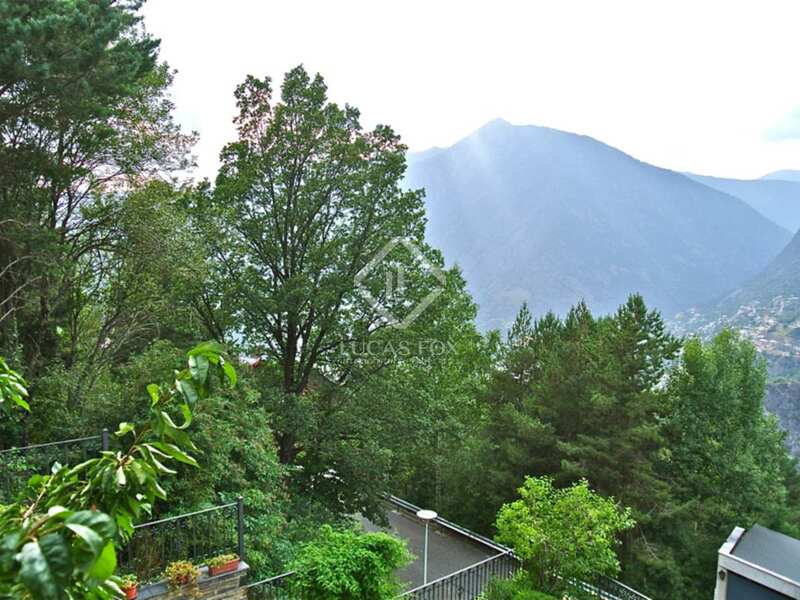 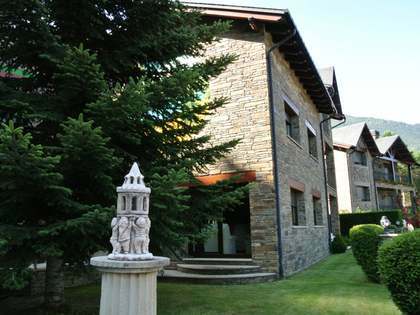 Surrounded by nature, this house can boast being near the natural lake "Engolasters" - one of the prettiest in Andorra and a Romanesque church of the twelfth century "San Miguel of Engolasters". 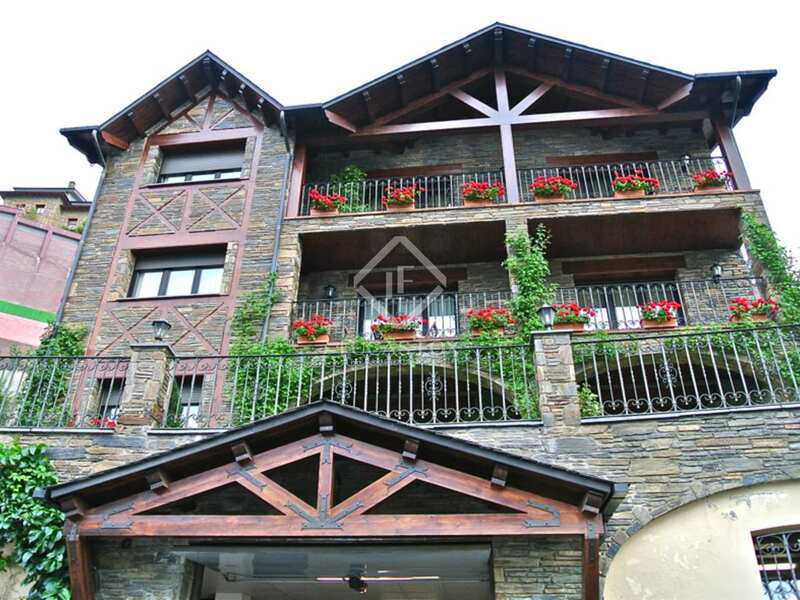 The centre of Andorra with all of its amenities is just 7 minutes away.